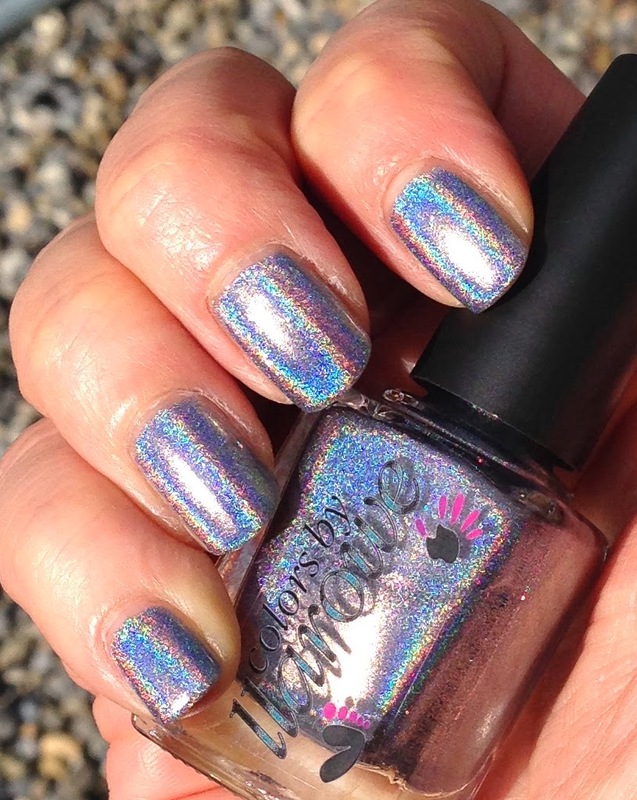 I applied two effortless coats of Colors by Llarowe Silver over Essence Hardening Nail Base. It was relatively quick to the touch but remained sensitive to dents for some time. Using Glisten&Glow HK Girl Top Coat did not diminish the holo effect one bit. 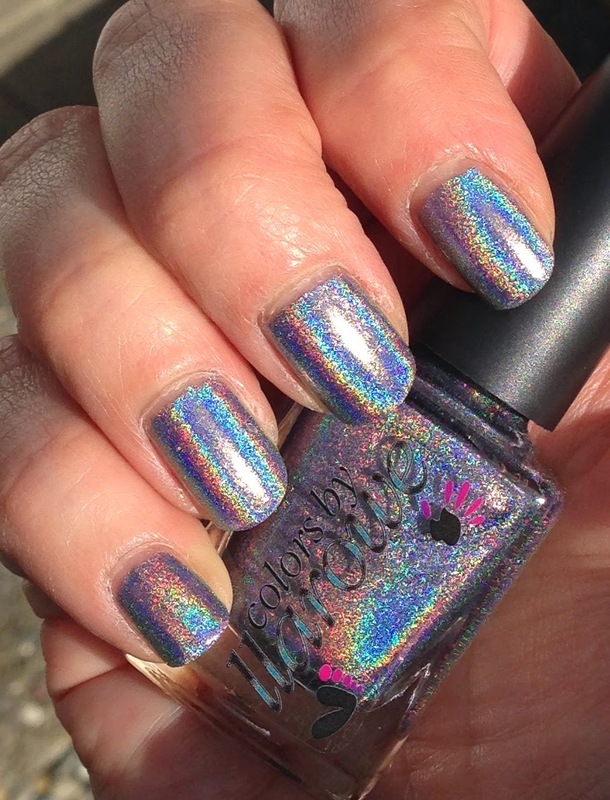 Final thoughts: I so far only had only silver holos that came with an attitude - think Nfu Oh 61 or Fnug Psychedelic. 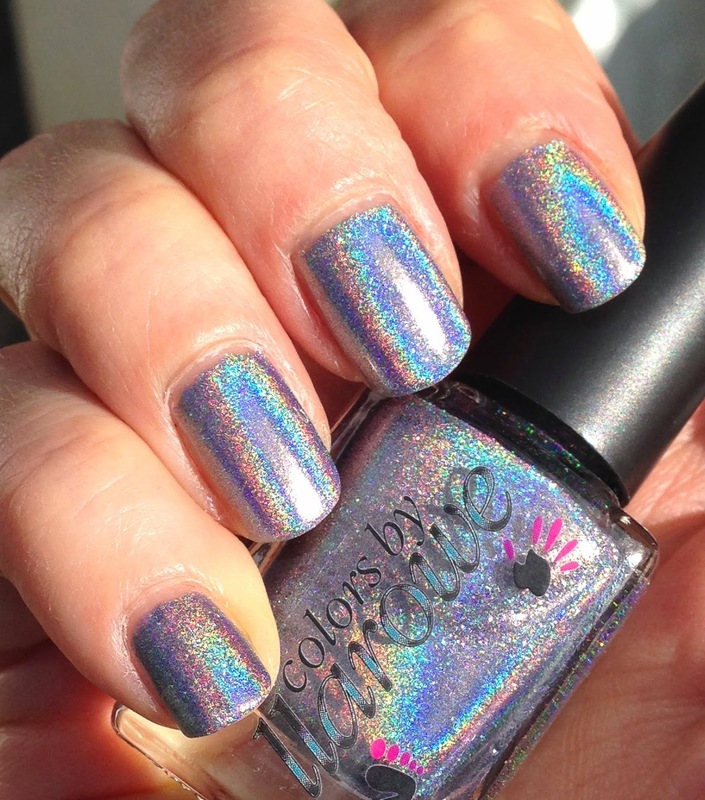 Extraordinaire holo with zero wear. Both of them literally fall off by themselves. 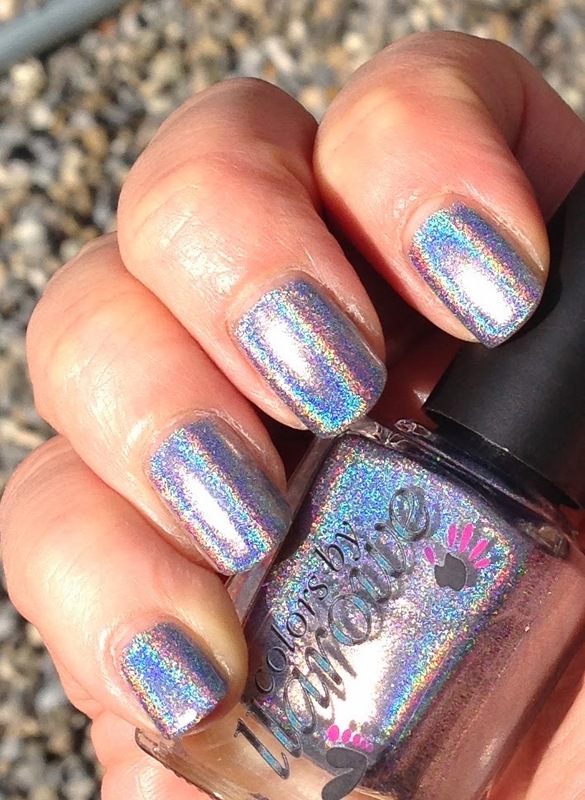 Not so Colors by Llarowe Silver - not only it throws breathtaking holo rainbows into your face, you can also wear it for a full day and not experience chips or dents or what have you. And this is by painting it on a regular Base Coat - no Aqua Base Coat needed here!!! I ordered Colors by Llarowe with Llarowe. I still haven't tried this but the bottle has been in my stash for months. 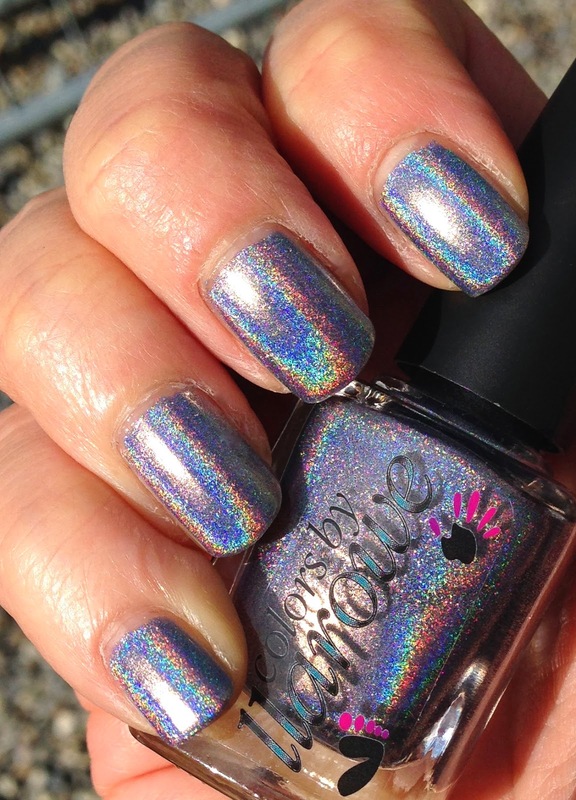 The holo is beautiful! Wait...hold still!! I'm trying to adjust my monitor! Hey...it's that insane polish! :P This looks so metallic and crazy, it looks almost poisonous to wear it, LOLOL...does that make sense? Like it's mercury or something?? 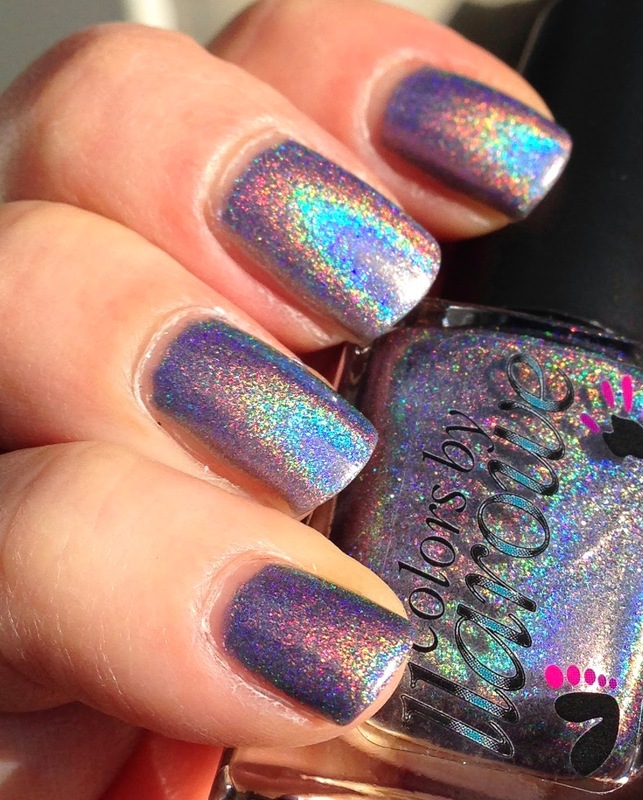 And WHOA this polish! I seriously could not even tell it is actually supposed to be silver, had it not been for the name! LOLOL It is pure rainbow beauty, much stronger than Nfu-Oh 61, I can tell you that right now. I recently got my very first Colors by Llarowe (All Bidness) and although I swatched it on one nail, I have yet to wear it as a full mani. Guess I need to do that asap!